Spotify has 71 million premium subscribers globally. In its much-anticipated filing to go public last month, Spotify revealed revenue growth was outpacing costs, suggesting the music streaming service was striking deals with the music industry that defeat the central tension in its business model. Spotify launched in 2008 and is now available in more than 60 countries, including South Africa. However, there is still a big question mark over its model: Can it find enough subscribers and other revenue to pay for the mountain of royalty fees to record labels and artists? The filing by the Sweden-based firm for a direct listing as SPOT on the New York Stock Exchange showed revenue rose 39% to EUR4.09 billion in 2017. Cost of revenue ? which mainly consists of royalty paid to music record labels and music publishers ? rose 49% in 2016, but just 27% last year, the company's documents showed. Spotify attributes the fall to a cut in content costs following new licensing agreements with record labels and music publishers, it said in the nearly 200-page filing. Spotify pays fees to music publishing companies such as Sony/ATV Music Publishing, Warner Music and Vivendi's Universal Music Group, which act for artists ranging from Justin Timberlake to unknown indie bands in exchange for a commission. To pay for that, it has 71 million premium subscribers globally, about twice as many paying customers as its closest rival Apple with 36 million as of February. Including those who listen to advertising-supported streams, Spotify has about 159 million monthly average users (MAUs). Nearly 60% of Spotify's monthly users were ad-supported subscribers in 2017. However, at a headline $9.99 a month, premium customers generated 90% of total revenue from listeners in the same period. 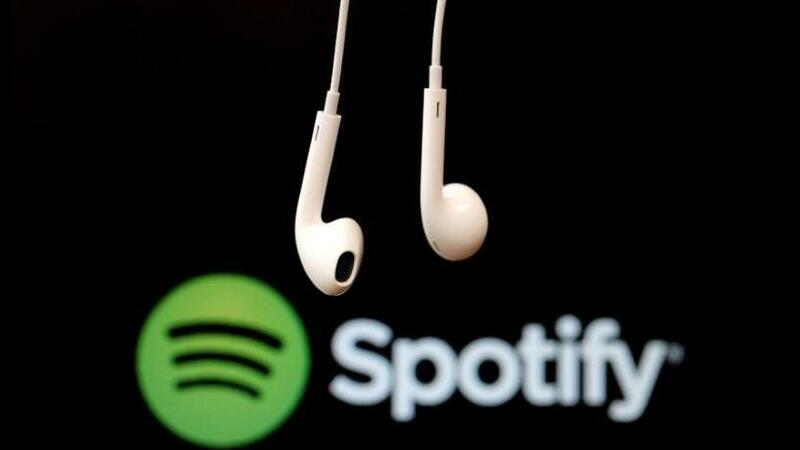 In January, US copyright authorities decided to increase over the next five years royalty payments music streaming companies like Spotify and Apple must make to songwriters and music publishers, a trade association for music publishers said. While the revenue/cost-of-revenue balance is improving, Spotify's net loss is widening ? doubling last year to EUR1.24 billion from EUR539 million in 2016. Its operating loss widened to EUR378 million in 2017 from EUR349 million. That suggests the company will need to use its clout to strike more lucrative deals in the coming years if it wants to turn a profit from a growing subscriber base as it battles Apple, Amazon.com and Google.